Who doesn’t love the Oscars? In the same way, Bollywood stars, directors and literally everyone related to the film fraternity wait with bated breath for this day. The Indian equivalent of the Oscars is the IIFA awards. This time around it was held in Madrid and all our favorite actresses were a part of this event. Let’s take a look at some of the top looks at the event. Model and actress, Gauhar Khan, was at the event in a graceful green Gaurav Gupta gown. The Bigg Boss 7 nailed the look. 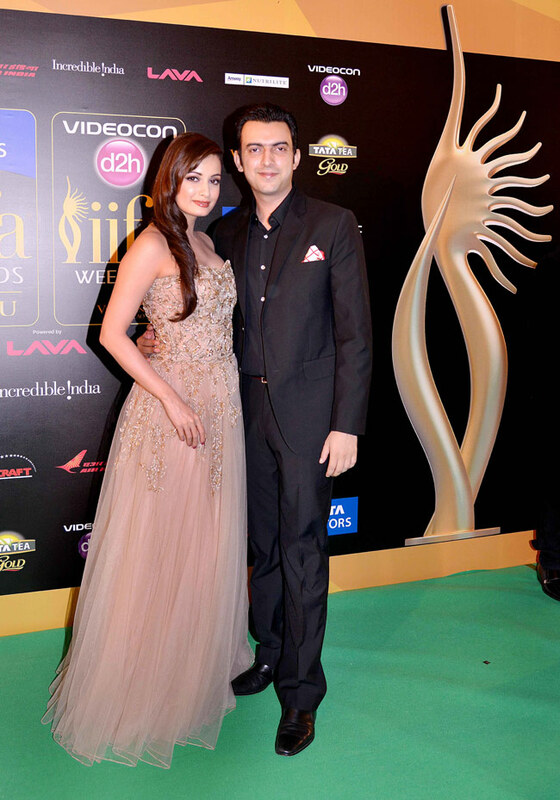 This time, Sreedevi was the recipient of the lifetime achievement award at the IIFA awards. She wore a black gown and this timeless beauty proved that she still has it in her to give any young actress some tough competition. So, watch out ladies. Dia looked very elegant in her golden gown. This actress looked heavenly and she knows how to keep it stylish! Sonakshi looked graceful in a Rohit Gandhi and Rahul Khanna creation. This girl was able to pull off the caped gown with finesse which celebs across the world can’t have enough of this year. With minimal makeup and plaits, she looked really good! Priyanka walked the green carpet in a Dolce & Gabbana gown. PC is now an internationally loved actress and she looks the part as well. That’s the way to go girl! Deepika knows what looks good on her and this pretty lady set the red carpet on fire in her red dress. She wore a sizzling hot red dress by Prabal Gurung dress with sandals by Giuseppe Zanotti Design and Outhouse Jewellery.